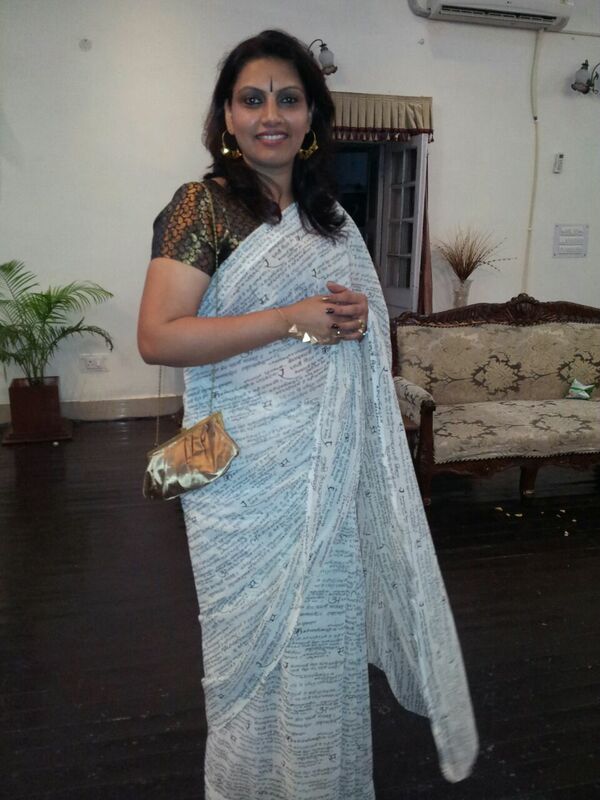 This Sanskrit Shloka printed georgette saree was a this year’s birthday present from mom. Wore it to the dining out of a fellow officer. The black and gold brocade blouse added to the appeal. The saree stood out and so did I. They say “There’s a saree for every occassion and occassion for every saree” Agreed.